Mo'Nique is getting older and she's not afraid to show off all the changes that come with it. 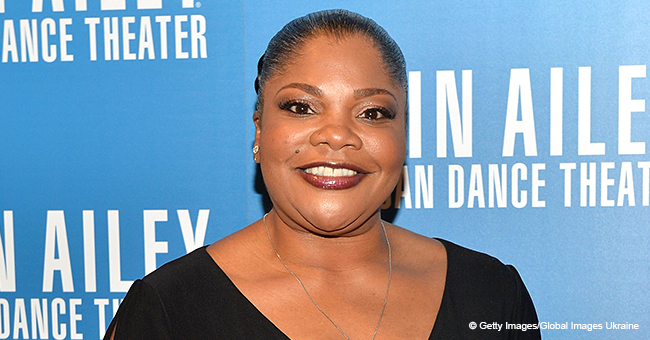 The actress and comedian shared a gorgeous picture debuting a full gray-haired look and once again showing off her impressive weight loss results. Mo'Nique also wore a full face of makeup as she showed off the grey curly hairstyle. She also shared a picture with a grey bun alongside her Vegas co-star Correy Bell. The posts are found below. She wore an off-shoulder black top and accessorized with a pair of hanging black earrings. Her hair was styled with flat twists going towards the crown of her head. The rest of her tightly-curled tresses cascaded down. 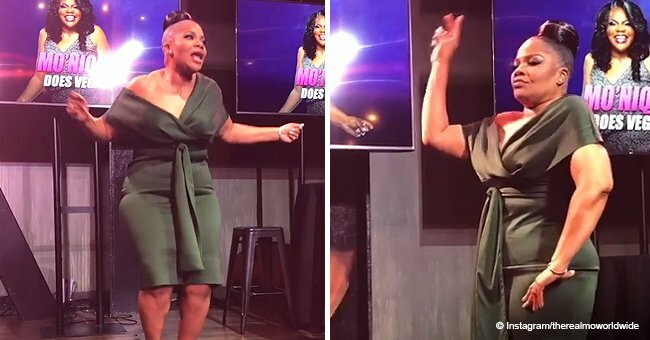 "MO'NIQUE DOES VEGAS! Embracing the GREY! Sister don't cover what's naturally beautiful! See y'all at the show! Love yall 4 REAL!" 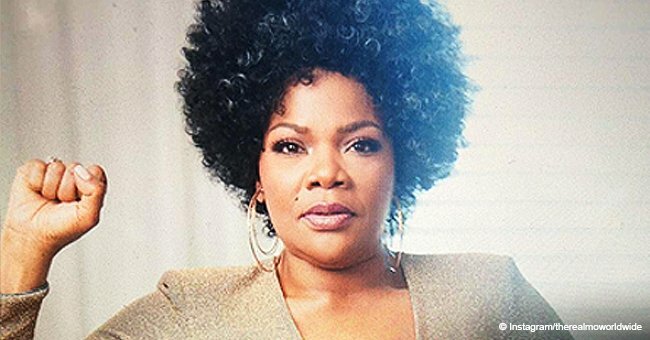 The new look definitely suited her and reminded us of last year when Mo'Nique rocked a grey-streaked afro back in August. In the caption, Mo'Nique praised those who were wearing their afro's proudly. The comedian looked particularly brand new thanks to her new slim body which follows decades of having a plus size figure. 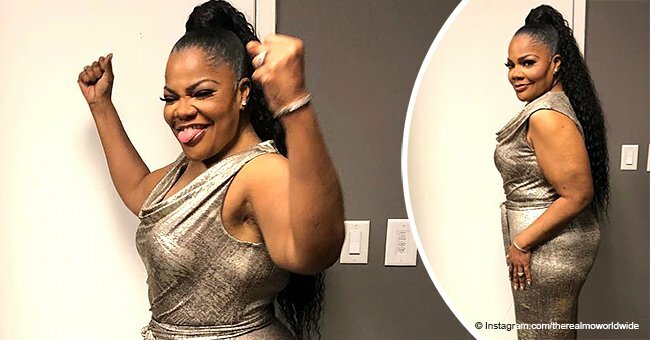 In September 2018, she shocked her fans when she wore a black dress that really highlighted her weight loss. The Oscar-winning actress posted a montage of four pictures with front, back, and side views of her flaunting a sleeveless tight-fitting dress and matching black peep-toe heels. She captioned the picture with: "BLACK IS EVERYTHING." The actress had her hair in large braids and looked stunning with her new hourglass figure that took years to achieve. 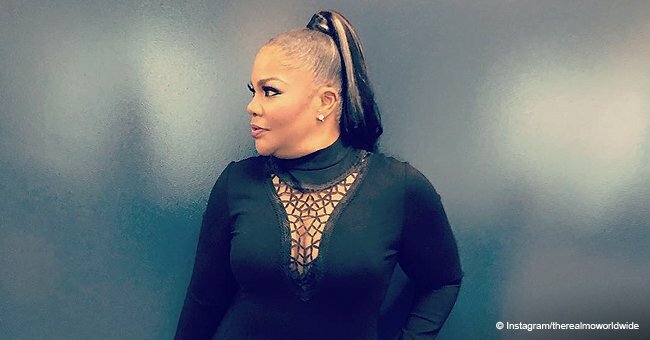 On March 29, 2018, Mo'Nique revealed that she had finally reached under 200 pounds for the first time since she was 17 years old. She attributed the milestone to intense dancing and eating raw food. Mo'Nique regularly speaks to fans on her YouTube channel, Mo'Nique Worldwide. She says there are no secrets to achieving the healthier look, but reminds others that they would need to put in the work work and have patience.